Get ready for a more modern experience. ITS will be rolling out an updated, retooled, version of the myMC portal at the end of the Spring Break. The myMC portal is a work in progress and has been evolving into a single point of entry to online tools, services, and information for Manhattan College students, faculty, and staff. 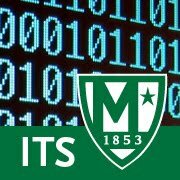 It also contains the Announcements tool used by employees to post informational announcements to various segments of the Manhattan College community. The portal, which is personalized to each individual, also aggregates various types of information from many sources into one location. Secure access to internal content and other applications is provided and facilitated via single sign-on. This release also provides the start to a more modern apps-like experience for users. Central to this release are Search and Discovery tools to help users find what they need, better internal directory listing and search, and distributed editing of certain types of content in the portal. We've also been hard at work pulling together and packaging the myriad of "take-action" deep links to parts of various internal systems and posting those for the appropriate audience to better enable users to find and use the "services" they need to study or work here. This version also debuts new "marketplace" features such as Favorites where one can add portlets (e.g., apps, services, etc.) from the collection of available ones to their own portal layout. Not totally functional yet, users will be able to rate and comment on each portlet, thus providing feedback and helping to guide future development. The structure is responsive so works across all devices and features a new and more modern layout.